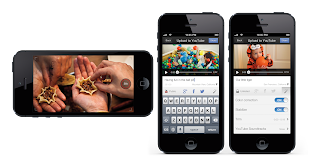 upload video directly from their smartphones to let us all know what it’s like to be there. Leaders express their outrage, and their sorrow. And our 800 million users around the world head to YouTube to better understand what just happened, from multiple perspectives. 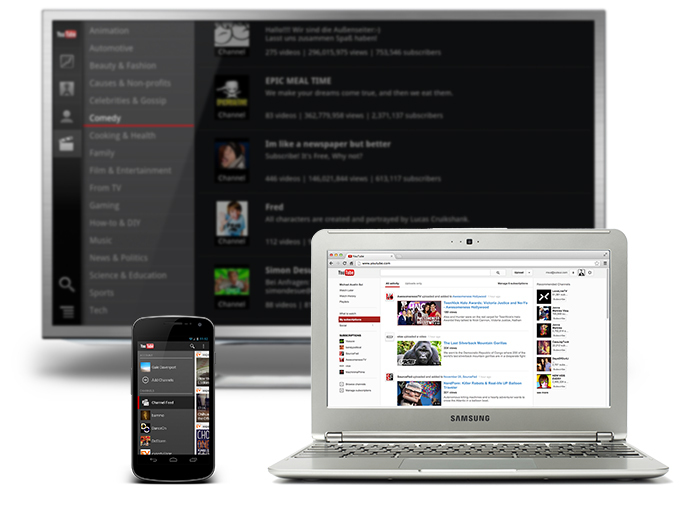 For years, YouTube has been the global living room - today’s it’s becoming a global newsroom. 2012 was a year in which one of the most respected voices in reporting, The Associated Press, hit one billion views on YouTube - a milestone only reached by a few dozen channels in YouTube history, and shared this year by one of the newest voices in reporting, Phil De Franco. It was a year in which one of the world's most exciting stories on Earth came in the form of a four frames-per- second video from Mars. It was a year in which The Weather Channel live-streamed its coverage of Hurricane Sandy for more than 70 hours, to millions of people who would have struggled to get the news any other way. And it was a year in which people from more than 200 countries tuned in to youtube.com/politics to watch the US Presidential Elections. We’re proud of our news partners, and the work they do to bring the events of the world to their growing audiences around the world. Here’s our recap of 2012, which we put together with the help of Nieman Journalism Lab and Storyful. 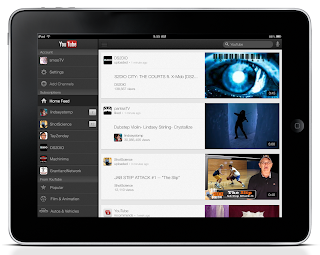 As we head into the new year, subscribe to the new youtube.com/news channel to stay on top of the biggest news stories of 2013. When something big happens in the world, the YouTube community responds. Our news partners race to get footage live on the site. On-the-spot reporters upload video directly from their smartphones to let us all know what it’s like to be there. Leaders express their outrage, and their sorrow. And our 800 million users around the world head to YouTube to better understand what just happened, from multiple perspectives. For years, YouTube has been the global living room - today’s it’s becoming a global newsroom. unveiled her first single on YouTube back in August, you went a little crazy for it -- along with the rest of the country. During that same session, Ms. Swift secretly recorded an acoustic version of “We Will Never Ever Get Back Together” as well as never-before-heard acoustic versions of two other tracks off the new album: “Treacherous” and “Forever.” Today, she shares that session exclusively on YouTube, as a special holiday treat for her fans. When Taylor Swift unveiled her first single on YouTube back in August, you went a little crazy for it -- along with the rest of the country. During that same session, Ms. Swift secretly recorded an acoustic version of “We Will Never Ever Get Back Together” as well as never-before-heard acoustic versions of two other tracks off the new album: “Treacherous” and “Forever.” Today, she shares that session exclusively on YouTube, as a special holiday treat for her fans. YouTube Capture will be available today on the App Store. We’re also working to bring this to Android in the future, and learn more at youtube.com/capture. , we take a look back at the videos that captured our attention and our imagination during the year. 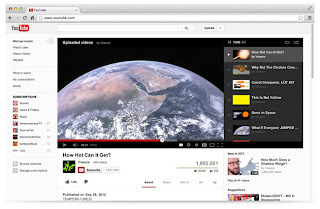 We’ll be releasing the top trending videos of 2012 next week, but today our friends over at Google are taking a look at the year through the eyes of search. Google’s 12th annual Zeitgeist Year-In-Review, a.k.a. a “spirit of the times,” reviews the people, places, and topics that captured the world’s attention this year. YouTube favorite “Gangnam Style” came in as the #2 global trending search term this year, and topped dozens of country’s charts. PSY’s smash hit also left a lasting impression on search, with questions like “How to Gangnam” popping up in Malaysia, and “Gangnam Style costume” coming in as the #4 trending Halloween Costume search in the U.S.
Make sure to check out the Google Zeitgeist site to see the hottest trends, people, and topics that were top of mind this year. Kevin Allocca, YouTube trends manager, recently watched "Simon's Cat in 'Icecapade'"
Each year here at YouTube, we take a look back at the videos that captured our attention and our imagination during the year. We’ll be releasing the top trending videos of 2012 next week, but today our friends over at Google are taking a look at the year through the eyes of search. 4. Did you promote the campaign videos outside of YouTube as well? 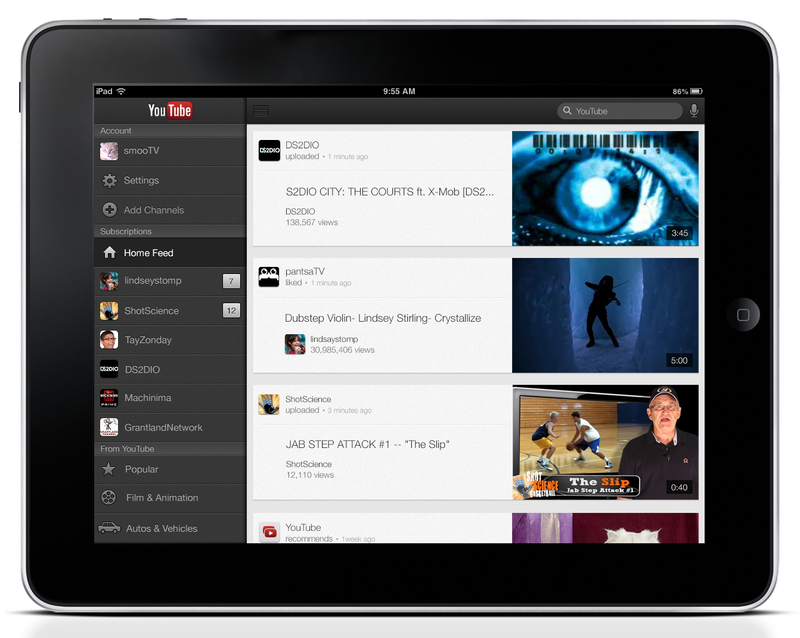 How do you think about distribution and helping the videos find their audience? We're aggressively promoting the campaign both inside and outside of YouTube, including to our over three million members around the world via email, Facebook and Twitter and asking them to share with their much larger social networks. We're also rolling out an aggressive PR strategy that matches storytellers to particular audiences — movie stars to entertainment, AIDS activists to the AIDS community, college students to other students, etc. It's less about trying to bring people to us, and more about trying to get our story embedded in already-scaled audiences. 5. What advice do you have for cause-based campaigns in how they approach using YouTube? We've been through quite a learning curve with YouTube. In the beginning I think we had a very old-world approach by making our own videos and trying to use YouTube as a free broadcast medium. We're now much more focused on tapping into the power of existing YouTube creators, and getting them to naturally include our message in their stories to their pre-existing audiences. It's a much more authentic and contemporary use of the medium. And we're already thrilled with the results. Special note: DANCE (RED), SAVE LIVES this weekend. Watch the livestream of Tiësto and some of the biggest names in dance music from Stereosonic, Australia's biggest dance music festival. Live at youtube.com/joinred starting at 11pm ET on Friday, and looping all weekend long. Hunter Walk, director of product management, recently watched Are You Ready? Get Set, Let’s Go! 1. Why did you make video a core component if the "my story. our fight." campaign? ONE is all about the power of voice. As we often say, "we're not asking for you money we're asking for you voice." And while it's true that your voice alone may struggle to be heard or make a difference, we have concrete proof that our voices together are impossible to ignore. Our over three million members around the world prove this time and again. The inspiration for this particular campaign was to get at why people are involved — the personal stories and experiences they have that changed their lives, and committed them to getting off the couch and doing some real good in the world. To us, video was the obvious solution to bring these unique stories to life in a way that people can experience them, share them, be inspired by them and make their own commitment to action because of them. 2. You empowered people to share their messages and experiences. How did you encourage them to promote the campaign's goals while still allowing the campaign to feel organic and authentic? Great question. Authenticity is really at the heart of this idea. And the answer is simple: don't write scripts. Instead, just ask people to share their own stories, and really push them to open up and be personal. I remember asking Cleve Jones, "Do you have a particular experience or memory that got you started on the path of AIDS activism?" And he said, "Absolutely." I said, "Great why don't you sit at my computer and share it?" And as he shared his beautiful and very personal story right in front of me, I knew we were onto something. 3. What actions are you asking viewers to take and how are you measuring the success of these videos? We're using the call to action: "Watch one. Share one. Join ONE." We want people to be inspired by the stories we've curated, share them with their friends and, most importantly, take action by signing our petition to protect funding for lifesaving AIDS programs. There's a lot of talk now in America about the "fiscal cliff." This can seem like a vague and distant idea. Let's put it in concrete terms: if an agreement is not reached, and cuts to life-saving programs goes into a effect, real lives will be lost. These aren't numbers, these are people. That's why we're in the fight, and that's why we're hoping more people will join us.